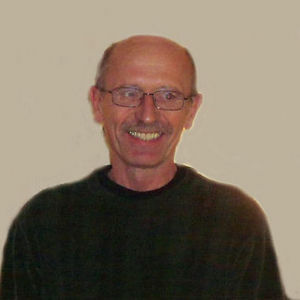 5 of 6 | Posted by: Nancy and Robert House Sr.
Tim Boock, 57, Breckenridge, MN passed away on Friday, October 25, 2013 at his residence under the care of Riveredge Hospice. Funeral services will be at 11:00 AM, Tuesday, October 29, at Breckenridge Lutheran Church, Breckenridge with Rev. Mark Manning officiating. Visitation will be on Monday from 4:00 PM to 8:00 PM with a 7:00 PM prayer service at Willow Creek Chapel, Wahpeton. There will also be visitation one hour prior to the service at the church on Tuesday. Arrangements are entrusted to Vertin-Munson Funeral Home, Wahpeton, ND. Tim was born on December 21, 1955 to Delbert and Melba (Larson) Boock in Breckenridge, MN. He grew up and attended school in Breckenridge and graduated from Breckenridge High School in 1974. He attended Brainerd Vo-Tech for one year and returned to Breckenridge to take over the family business, Boock & Sons Tree Service, when his father was ill. Tim was united in marriage to Barbara Thimjon at Breckenridge Lutheran Church on May 1, 1976. He ran the tree service until 1984 when he started his career with Minn-Dak Farmer's Coop. He was presently still working there and was very proud to earn his Chief A Boiler Engineer's license. Tim was a member of Breckenridge Lutheran Church. He was an avid outdoorsman and motorcycle enthusiast which took him to Sturgis in August. Tim was a very skilled craftsman who was able to envision something and build it from scratch. The best thing he built was his family, of which he was very proud. Tim is survived by his wife, Barb, Breckenridge; his sons, Allen (Lynn) Boock and their daughter Sarah, Moorhead, MN, Robert (Amanda) Boock and their daughter Nora, Fort Dodge, IA; his father, Delbert Boock, Moorhead, MN; his brothers, Ronald (Barb) Boock, Bemidji, MN, Christopher Boock, Moorhead, MN. He was preceded in death by his grandparents, his mother, Melba Boock, and his nephew, Josh Boock. My sincere and heartfelt sympathy to you and your family. I was so very shocked when I noticed in the Fargo Forum that Tim had passed away. Brought back oh so memories of the Heating Plant when he and Jack worked together. The deja vu was that he was 57 and Jack would have been 57 in November but passed away in February 2004 --- also of cancer. My heart knows the pain and will keep all of you in my prayers as you walk thru this difficult time. May God give you His peace and hold you close in His loving arms to comfort and give you strength. You have our deepest sympathies! Our hearts go out to you. Take care. Love you always! You will be missed and loved forever. You were a good brother and friend. I loved you brother.